NEW YORK—Totokaelo and GRAY are pleased to announce a collaborative project launching during this year’s NYCxDesign. Hosted at Totokaelo’s Crosby Street store, they will present a series of conversations between GRAY’s editorial director, Tiffany Jow, and three designers, who’ll each create an exclusive collection or installation for Totokaelo, which will showcase the projects throughout the duration of NYCxDesign. The designers include Jonathan Nesci (May 15), who created his PHI tables for Totokaelo’s New York interior; ceramist Simone Bodmer-Turner (May 16), who’ll present a limited edition line of ceramics on display and available to purchase, and Dakin Hart (May 18), senior curator at the Noguchi Museum, which will create a temporary site-specific installation of Isamu Noguchi’s Akari light sculptures at Totokaelo’s SoHo store. Akari lamps will also be available for purchase in-store. Each conversation will be followed by a Q&A. A signature cocktail by the new San Francisco-based whiskey brand, GLYPH, will be served throughout the evening. Jonathan Nesci is an American designer best known for his minimalist furniture, lighting, and exhibition design. His work has been exhibited at international design shows including Design Miami, Collective Design Fair, Expo Chicago, International Contemporary Furniture Fair, Pad London, and Pad Paris. Jonathan Nesci has designed and produced bespoke tables, PHI, exclusively for our New York store interior, on display throughout New York Design Week. Jonathan Nesci will speak at Totokaelo on May 15, 6-8PM. California-born, Brooklyn-based ceramicist Simone Bodmer-Turner’s ethereal hand-built clay works feel like they come from another place and time. Inspired by the longstanding clay techniques that many communities throughout the world have used long before her, she pays homage to ancient forms in her sculptural vessels. Simone Bodmer-Turner has created an exclusive collection especially for Totokaelo and New York Design Week, available to purchase at our New York store during the series. Simone Bodmer-Turner will speak at Totokaelo on May 16, 6-8PM. Dakin Hart is the senior curator at the Noguchi Museum, located in Long Island City, Queens, New York. He came to the institution after working at the Fine Arts Museums of San Francisco, the Montalvo Arts Center, the Nasher Sculpture Center in Dallas and the Gagosian Gallery in New York. He will discuss Isamu Noguchi’s electrified paper, bamboo, and metal Akari light sculptures, which have quietly become some of the most ubiquitous sculptures on Earth. Their origins lie in 1951 when, on a trip to a still-devastated post-war Japan, Noguchi was asked by the mayor of the small town of Gifu City to help revitalize the local lantern industry by creating a modern lamp for export using traditional washi paper (made by hand from the inner bark of the mulberry tree) and bamboo. Dakin Hart, Senior Curator of the Noguchi Museum, will speak at Totokaelo on May 18, 5-7pm. Totokaelo is a fashion destination known for its directional approach to clothing, accessories, art, and objects. Rather than adopting a one-size-fits-all approach, Totokaelo focuses on a tight curation of partners, thus creating a singular in-depth experience. 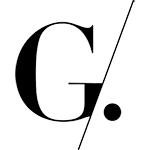 GRAY explores the global design landscape through compelling and authoritative content around architecture, interiors, art, design, and culture.  Founded in 2011 and based in Seattle, Washington, GRAY is a privately-held, independently-owned media company. It is uniquely positioned to offer a different take on the industry from its vantage point in the Pacific Northwest—an extraordinary locale that is both a hotbed of innovation and an enduring proponent of the arts and crafts movement. Our award-winning, perceptive storytelling focuses on process, craftsmanship, and ingenuity, and serves to inform and engage readers about the international design landscape and contextualize its influence on contemporary culture.